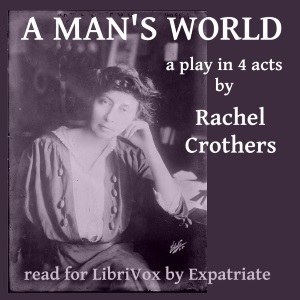 Listen to "A Man's World" on your iOS and Android device. The mysterious Frank Ware is a woman writer forced to write under a masculine pseudonym in order to win literary respect. Adding to her enigmatic status is the fact that she lives in New York City with her adopted child, a little son of unknown parentage, mystifying her friends by spending all her spare time in the least savory parts of the City, trying to rescue prostitutes from their hard lives. Eventually, even her closest bohemian and artistic companions begin to ask awkward questions, driving her to difficult, life-changing revelations.